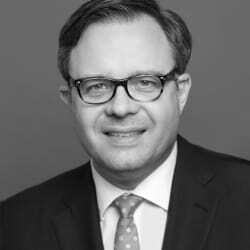 Dr Michael Dietrich specialises in all aspects of European Union and German competition law, with particular expertise in compliance matters, cartel investigations, competition litigation including follow-on damages and strategic competition advice, particularly on joint ventures and mergers. Michael has been involved in a very significant number of cartel investigations of the EU Commission and the Federal Cartel Office ever since the start of his career. Currently he advises clients in several investigations pending at the Federal Cartel Office and the Court of Appeals in Düsseldorf. In the largest ever investigation of the Federal Cartel Office against companies in the German food retail sector, which has been concluded in 2017, he has represented one of the key companies involved. His industry focus includes consumer products, leisure and retail, and automotive. He has extensive experience in working with clients in China, Japan and the US.